George Turner Marsh, Asian Art importer whose estate provided inspiration for naming the Richmond District. - Courtesy of Annabelle Marsh Piercy. Despite best efforts, the new moniker didn't take. Even the neighborhood newspaper that pushed for the name change and claimed in its masthead to be "serving the Park-Presidio District," kept its original name of The Richmond Banner. For about five to ten years the major city newspapers played along, using Park-Presidio in their reporting on the area, but by the 1930s everyone was back to calling the Richmond the Richmond. Now, with the Board of Supervisors do-over legislation of 2009, all parties, including the City of San Francisco, are finally in legal agreement on the name of this northwest neighborhood, and everyone can focus on the truly important question that has skulked in the background all along: Why is it called the Richmond District? The novelty and beauty of Japanese art inflamed the interest of the buying public, and Marsh's was the only place to purchase real vases, lamps, brocades, sculpture, curios, and clothing. He soon expanded to feature Chinese work as well. Home of George Turner Marsh, early pioneer of the Richmond District. Stood at 12th Avenue and Clement Street. Desigend and built in late 1886 by Newsom Brothers. - Courtesy of Annabelle Marsh Piercy. 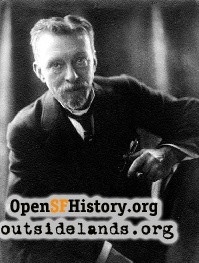 In the 1850s and early 1860s the west side of the San Francisco peninsula—called the "Outside Lands" because the area lay beyond the city limits—was the subject of land disputes between the federal government, the city of San Francisco, and private parties. 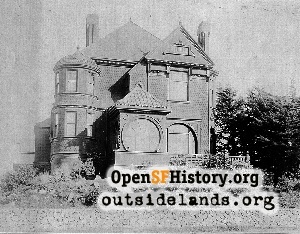 Jurisdiction and ownership of the Outside Lands were settled in 1866, a compromise that set the map for the future Richmond and Sunset districts and laid out the lines of Golden Gate Park. A robust economy and an increasing population began to push San Franciscans west in the early 1880s. Owners of large tracts and real estate agents became more active and successful selling lots in the area that some were starting to call the Point Lobos District. 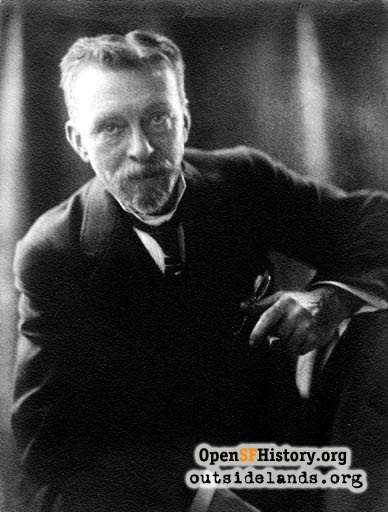 Marsh died in an automobile accident in 1932 at the age of 75. He was the first to bring commercial marketing of Japanese arts to the United States, played a seminal role in the creation of the Japanese Tea Garden, a San Francisco landmark, and provided the name for one of the city's major neighborhoods—a name that hopefully will stick this time. 1. "Ordinance rescinding Ordinance 4397 and re-establishing the name of the area north of Golden Gate Park and west of Arguello Boulevard as the Richmond District." San Francisco Board of Supervisors File No. 090099, Ordinance 36-09. 3. "Park-Presidio Will Designate City District," San Francisco Chronicle, November 20, 1917, pg. 11. The supervisors seemed reluctant to make the change, asking for a "more general expression of opinion." 4. G.T. Marsh, "Personal Notes," memoir transcribed by granddaughter Annabelle Marsh Piercy, (copy held by Western Neighborhoods Project), 1. 5. Barry Wolf and Annabelle Piercy, "George Turner Marsh and Japanese Art in America," Orientations, April 1998, 48. 7. Wolf and Piercy, 51. 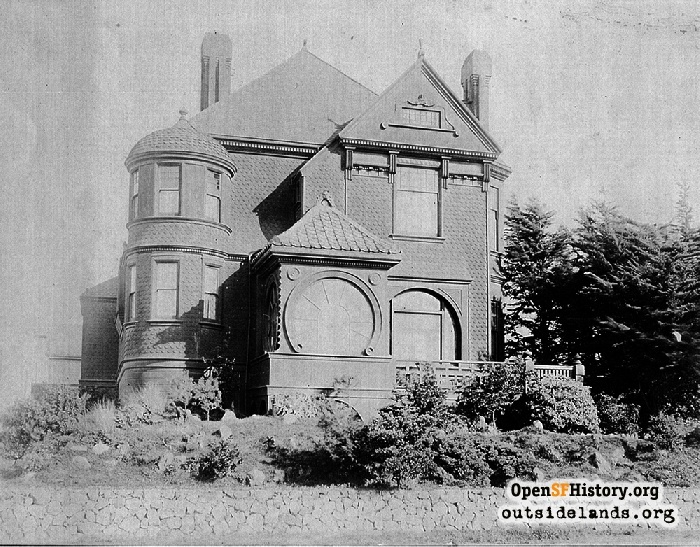 Thanks to Bill Kostura, who found reference for the contract to build the Marsh's large house, designed by the Newsom Brothers, in October 1886. It seems the Marsh family had a humbler house when they first moved to the future Richmond. 8. "The New Toll Road to Point Lobos," San Francisco Bulletin, December 29, 1862, 3. 9. Wolf and Piercy, 51. 10. "Real Estate," San Francisco Bulletin, March 21, 1884, 1. 11. Ibid. A number of accounts, written decades after the first use of Richmond District as a name, credit George R. Fletcher, an extremely active member of the Point Lobos Improvement Club, with proposing the name. 12. "Order No. 2309," General Orders of the Board of Supervisors, (San Francisco: Phillips & Smyth, 1898), 310. 13. Wolf and Piercy, 54. Page launched 2 April 2010.